week 48 of the 52 portraits of me challenge. this time they want me to be 'hidden' so i primped myself and donned the jackie-o sunglasses and stood in the shadows, lurking. i don't think anyone would recognize me now, do you agree? four more and you will no longer see me! can't wait, eh? That’s cool! A friend of mine has voiced I should do self-portraits, but I really have no idea where to start. Props to you for doing this weekly. @teresamaro - why don't you do this challenge for next year? you can interpret it as you see fit. i can email you the prompts or themes if you want, teresa. self-portraits are good for one's creativity. i don't take selfies, but give me a theme to portray and i can do self-portraits. it really tests your technical and artistic capabilities. let me know if you want me to email you the prompts. or if you want more company, i can make this into a challenge for all to partake in next year. @summerfield I’m not a fan of selfies, so yes—a weekly theme would be perfect. It’d be a fun challenge as well to see what others come up with. Either way, I’m in. Thank you! @summerfield shall check it, thank you for mentioning it! Very Jackie O/ You are very creative with your selfies. I love the mystery of this... really well done! I just love your selfies. They're so imaginative. @summerfield I'll pass right now. I don't like to look at myself in photos much. 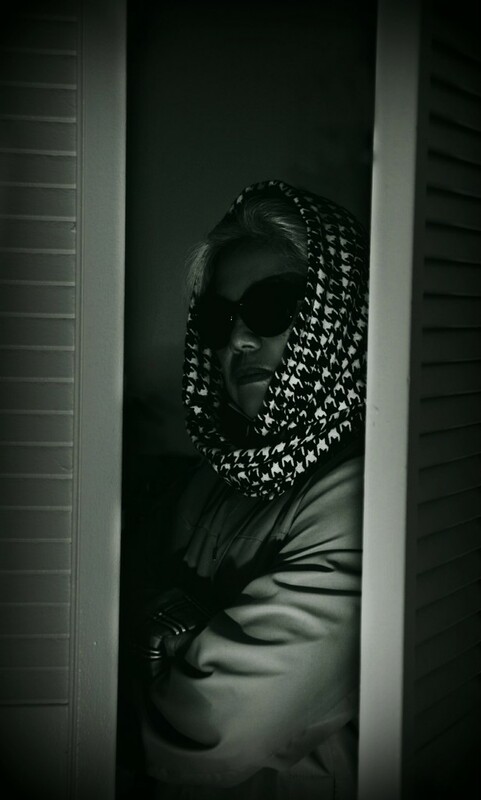 Incognito -- but still glamorous! Just so much fun! If I were there I bet I wouldn't even know you were there. Haha. Totally J-O my friend! And perhaps Mata Hari (whose name I'm sure I spelled incorrectly) too!